Happiness is a hot pierogi: Will A Dome Save Cleveland? Will A Dome Save Cleveland? A moment after it was announced that the Cleveland Browns were sold to Jimmy Haslam, Clevelanders were begging for a dome. 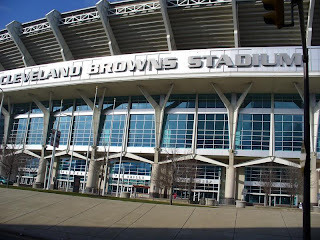 Fans want a dome or retractable roof on Browns Stadium because they believe that it will bring the SuperBowl to Cleveland and will bring conventions and concerts the likes of which we have only dreamed about. I say don't start making plans yet. Putting a roof on Cleveland Stadium will not turn the city into a shining jewel anymore than me putting a fez on and turning into a member of the Loyal Order of Water Buffaloes. Indianapolis was an amazing example of a SuperBowl host city. The effort they put, as a community, into the event is something to aspire towards. Just putting a roof on the stadium did not make the city attractive to outsiders. 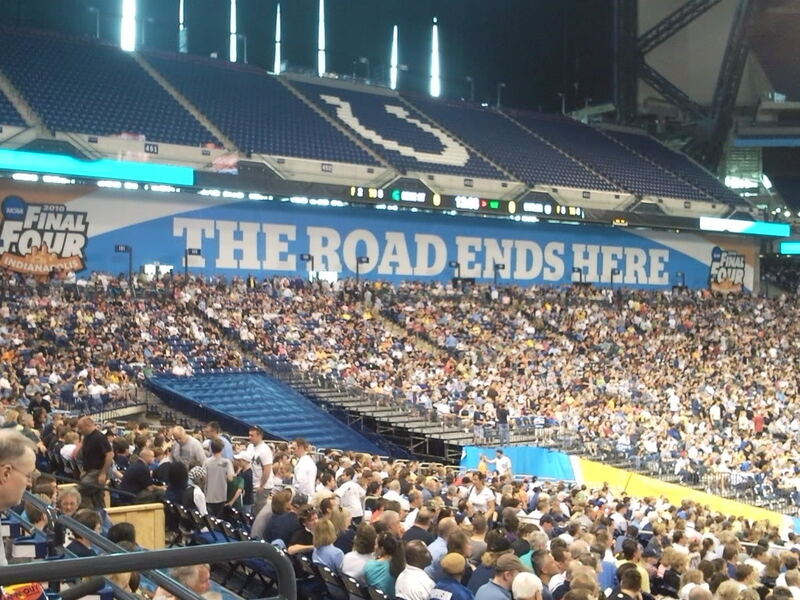 Since Cleveland fans want to talk about Indy, let's do it. 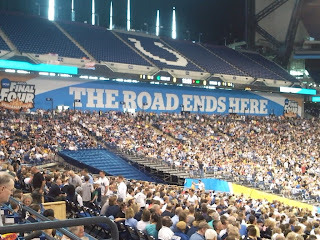 I lived in Indianapolis and I worked at Lucas Oil Stadium as well as the old RCA Dome. I was downtown for playoff games, and big deals of every sort. 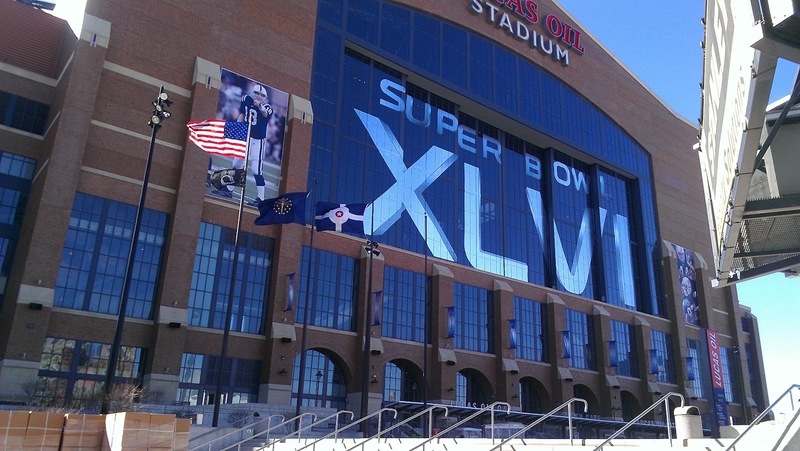 The city of Indianapolis is a regular host to major events, whether the Indy 500, Final Fours or, yes, the SuperBowl. Parades, traffic, hotel space, meeting space, police, catering, bars, restaurants - you name it and they work together in Indy. Even the way the city is situated is conducive to major events. As much as I love my city, until we can handle a snow storm, we aren't ready. The view out the window of Lucas Oil Stadium is one of the best in the city. Sadly, the window is rarely open. The roof is frequently closed as well. The NFL has specific rules in place regarding retractable roofs and it needs to stay open or stay closed during an entire game. Rumor has it the Peyton Manning hated the shadows on the field so the roof stayed closed. It was pretty funny though to hear fans gripe about the roof being closed (and they were cold) to the roof being open and the sun was in their eyes. Dome's aren't all they are cracked up to be. The infrastructure of LOS was created with events in mind. 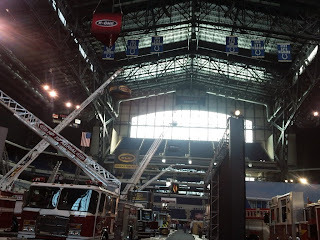 This pic is from a Firefighters trade show that I worked. 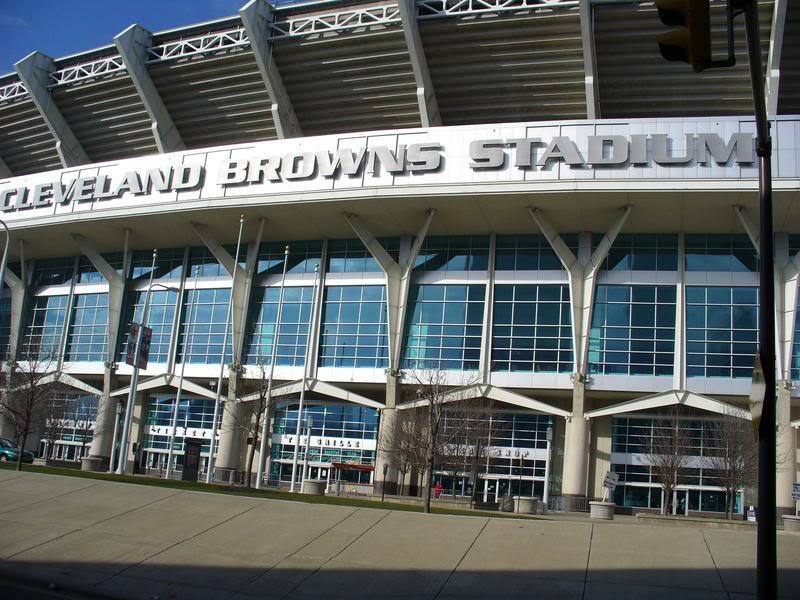 If we want a new roof on Cleveland Browns Stadium, we may as well doze the thing over and start new. If you have ever tried to send a text message to someone on the other side of the field, you understand completely. I would love for more visitors to come to Cleveland on business and come back to play. I think we are all on that page, but simply adding a roof won't do it. Adding a concert or two won't bring Cleveland back from the economic edge. We need to start going back downtown. Continue to think of new ways to use the areas that we have. The Indians stepped up and created Snow Days as a way to create an alternative use for the property. I realize they are doing away with it now, but it was a first step. Of course winning sports teams would help...but think about it... if we took more pride in our city, supported our local businesses, it would be a step in the right direction. Lance Armstrong - Hero or Cheater?